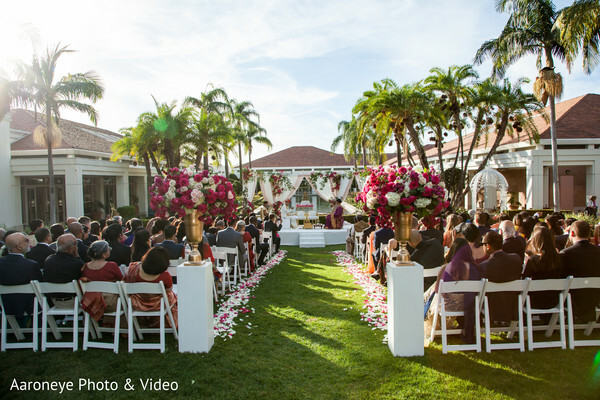 Set in the sunny Orange County, California is The Richard Nixon Library, this timeless elegant venue held Shivangi and Vikram’s wedding affair. 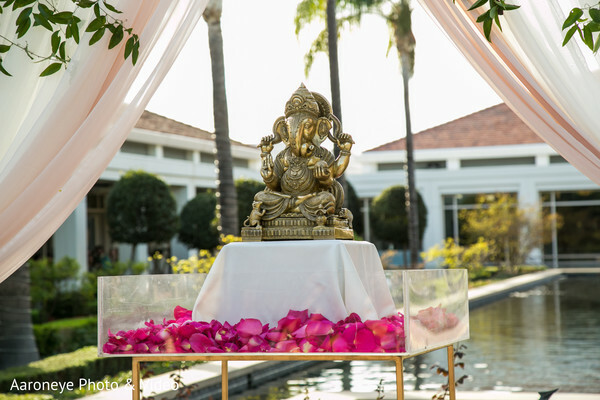 A lovely pool-side ceremony beautifully decorated with majestic floral arrangements by Three Petals marked the beginning of the most important stage of the couple’s life. 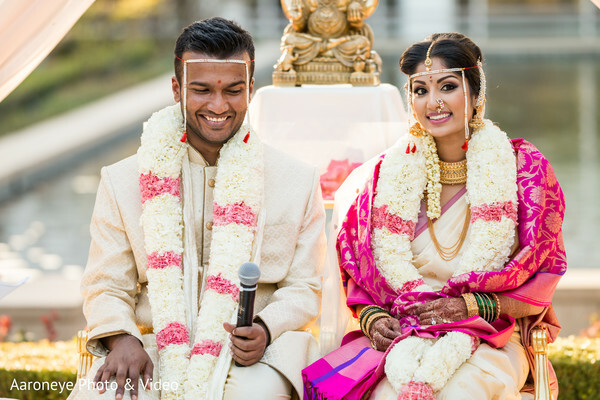 The beautiful Marathi Bride Shivangi was brought to the mandap wearing a ravishing two-tone silk saree and a flawless makeup by the professional team of My Fair Bride who took care of all her wedding bridal needs! 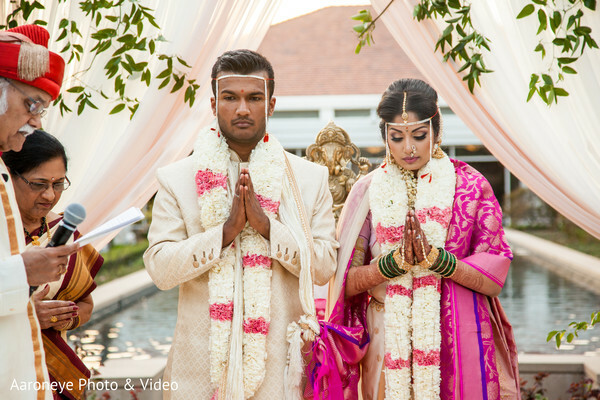 I was blown away by Vikram’s stylish attire, the groom showed off a white sherwani, perfectly light and elegant for an outdoor ceremony. 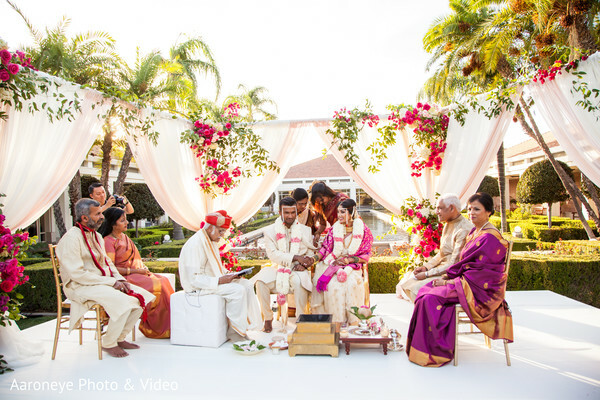 The golden hour provided the best natural light for Aaroneye Photography to take the most spectacular shots of the couple becoming husband and wife and also added an extra romantic mood to the atmosphere! 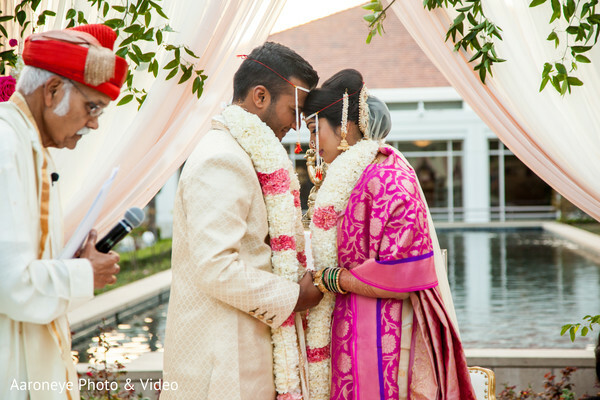 Here, in our full gallery, are some of the best scenes of this blissful Maharashtrian wedding. Take a look! 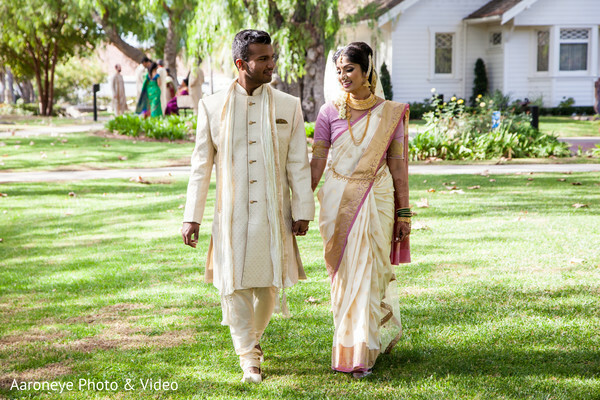 After completing the marriage blessings these happy newlyweds were ready to dance! 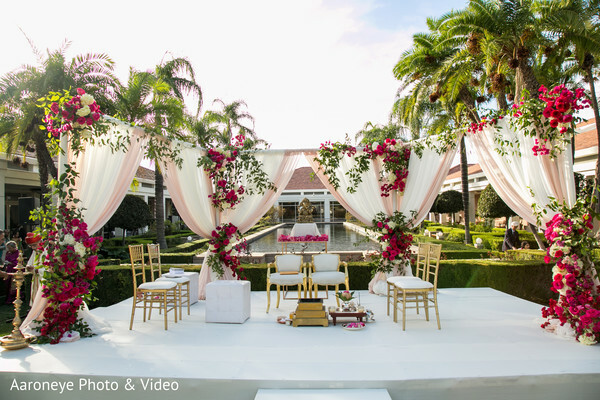 See all the party pics in our next feature!